1. The Industrial Revolution and the pre-industrial economy; Part I: 2. The high wage economy of pre-industrial Britain; 3. The agricultural revolution; 4. The cheap energy economy; 5. Why England succeeded; Part II: 6. Why was the Industrial Revolution British? ; 7. The steam engine; 8. Cotton; 9. Coke smelting; 10. Inventors, enlightenment, and human capital; 11. From industrial revolution to modern economic growth. 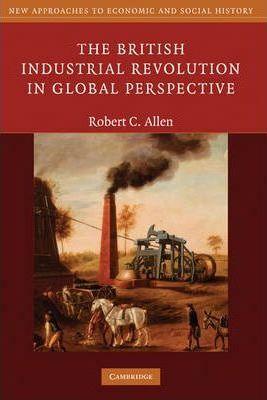 Robert C. Allen is Professor of Economic History at Oxford University and a fellow of Nuffield College. His books include Enclosure and the Yeoman: The Agricultural Development of the South Midlands, 1450-1850 (1992), and Farm to Factory: A Re-interpretation of the Soviet Industrial Revolution (2003), both of which won the Ranki Prize of the Economic History Association.